One turbocharger is great. For a lot of truck owners, it’s really all they need. But two? That’s where things get interesting. 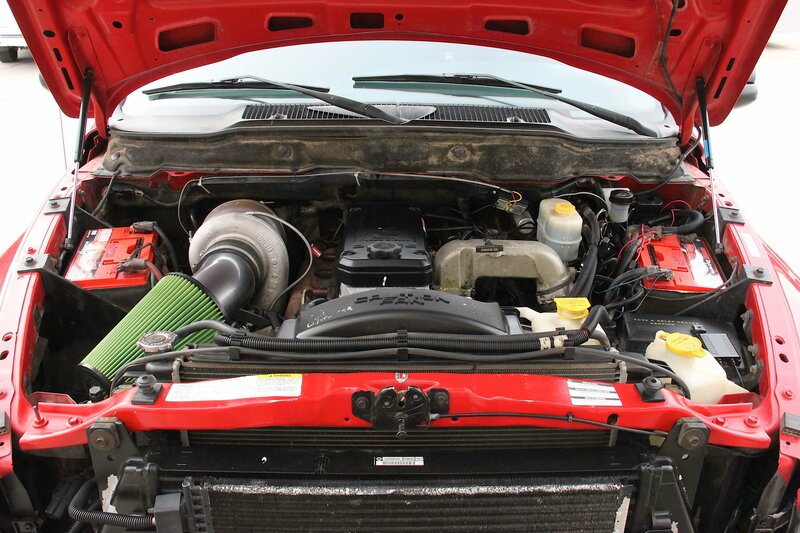 Rob Blanton, founder of Warfighter Made, didn’t just want a compound turbo system in his red 2003 Dodge Ram dually. He needed it. 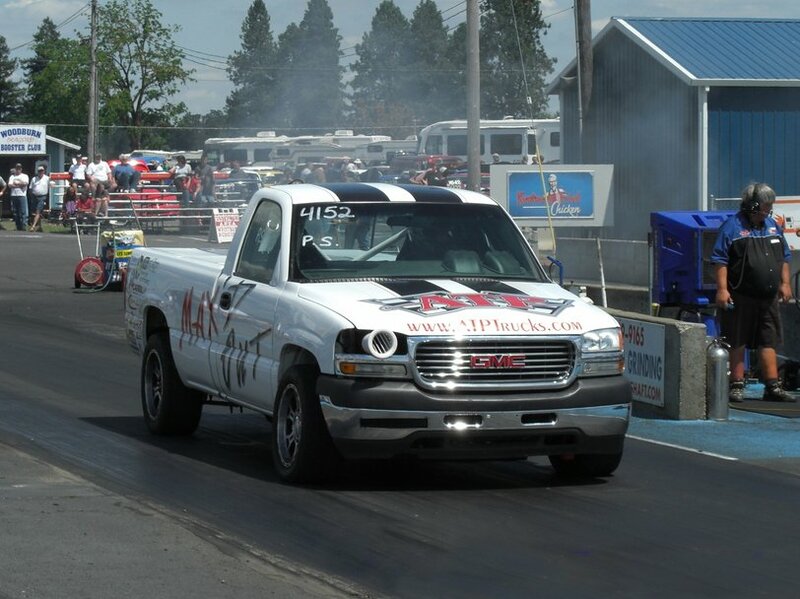 A number of prestigious aftermarket companies – Pusher Intakes, Exergy, FASS, BorgWarner, and others – stepped up to give Rob’s truck the boost it needed. 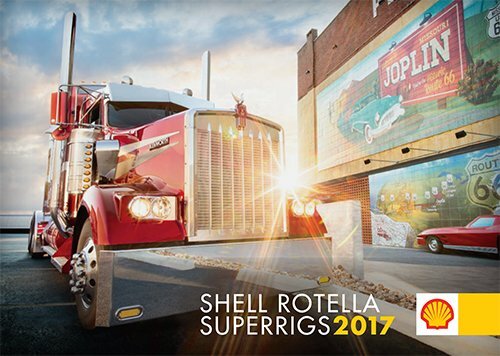 It was going to be a group effort to get this truck to the next level, and all parties were ready and willing to hit a home run. 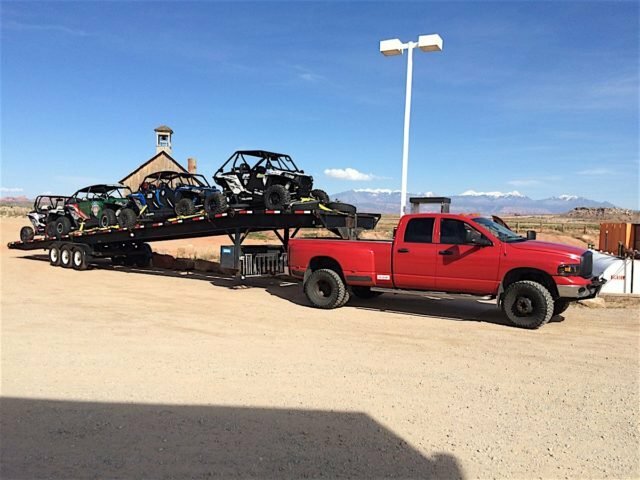 Giving Rob’s truck a boost to its power and torque will help it get the job done – towing around UTVs for vets to have fun in. It’s part and parcel of Warfighter Made, an organization that Rob founded. It builds custom vehicles for wounded veterans, takes them on recreational outings, and puts them in touch with other veteran-focused organizations. 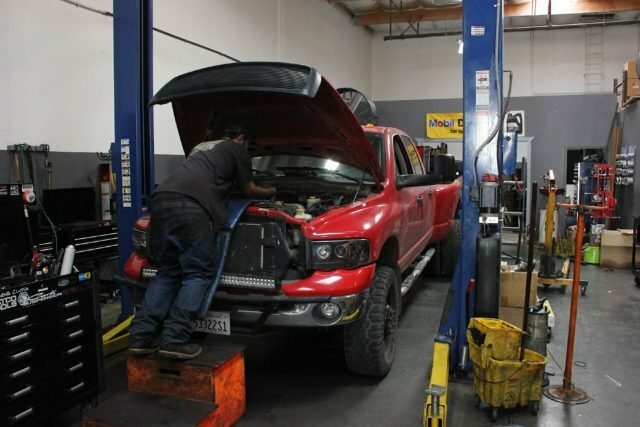 We reached out to our friends at American Diesel in Murrieta, California, to help us turn the dually from an old, stock workhorse to a thoroughbred, hard-charging machine. What follows is the build-up, installation, and after-effects of this project. With more than 200,000 miles on the odometer and a spotty maintenance history, the big red Dodge was a rolling problem that needed a fair amount of attention to be solved. 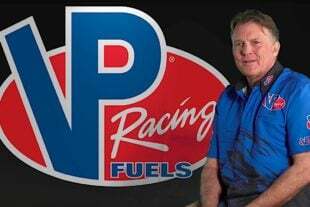 Mainly, we were concerned with the fuel dip that occurred between 2,000 to 2,500 rpm on the dyno. We discovered several areas where either a repair or upgrade was necessary. What follows are the steps we took between our Project Overview and installation of the Pusher kit. First, we went after an issue that came up after the FASS installation. It came to our attention that these particular trucks required an in-tank sump to work with the FASS pump. We installed a kit quickly and the issue went away. After an issue came up with the FASS pump, we installed a FASS sump kit onto the fuel tank and the issue went away. Next, we took care of the aging transmission by installing a new quiet dual-disc Valair clutch, as well as a heavy-duty master/slave cylinder kit, which is designed to help the truck transfer its intended 500-plus horsepower to the rear wheels effectively, while also preparing it to resume its towing duties with confidence once all was said and done. Afterwards, we took a look at the fueling side one more time. We found that the fuel pressure relief valve was going bad, and rather than replacing it with an expensive new unit, we chose to plug it up using PPE’s fuel relief valve plug. 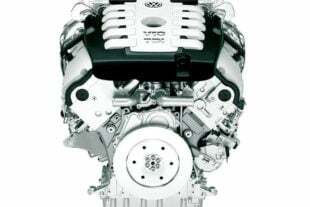 With this installed, the fuel pressure would go up, keeping the injectors constantly fed and significantly reducing the odds of fuel starvation. Installing Valair’s quiet dual-disc clutch ensured the longevity of the drivetrain. With these steps done and more dyno testing after each step, we still noticed a dip in the fuel curve and concluded that it could only be the injectors. Since these were going to be replaced anyway with Exergy 30-percent-over units, we opted to forge ahead and install Pusher’s compound turbo system. Things began at American Diesel by breaking down the 5.9-liter Cummins under the hood. We briefly entertained the idea of O-ringing or fire-ringing the head, but waited until the head was completely off the truck and in our hands. We made the decision to leave the head alone after listening to advice from outside diesel experts we enlisted in our quest, who explained that all we needed to do was re-torque the head a few times, and the head would seal up just fine. Before starting the compound turbo install, we wanted to get a closer look at the head, which took a lot of work to get to. 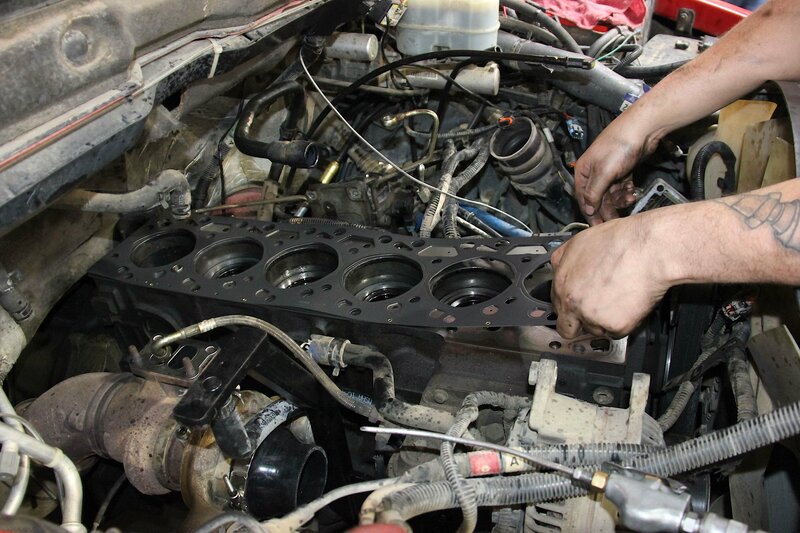 Here, we see the engine cover being removed, then the upper valve cover, and then parts of the valvetrain – namely, the rocker arms and pushrods. With this in mind, we tore into the Cummins bit by bit. Off came the engine cover, and then the upper valve cover. Then came the rocker arms and the valve bridges, followed by the pushrods. Removing these components from the rear of the engine was difficult, but thankfully, Dodge had the sense to have removable plugs put above this area for more room to work with. 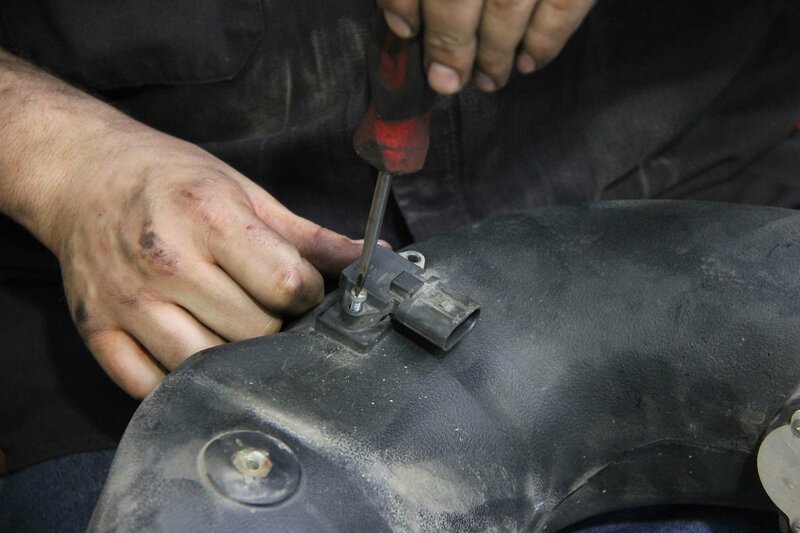 Removable plugs placed into the cowl allowed us more room to remove valvetrain components from the rear of the engine. 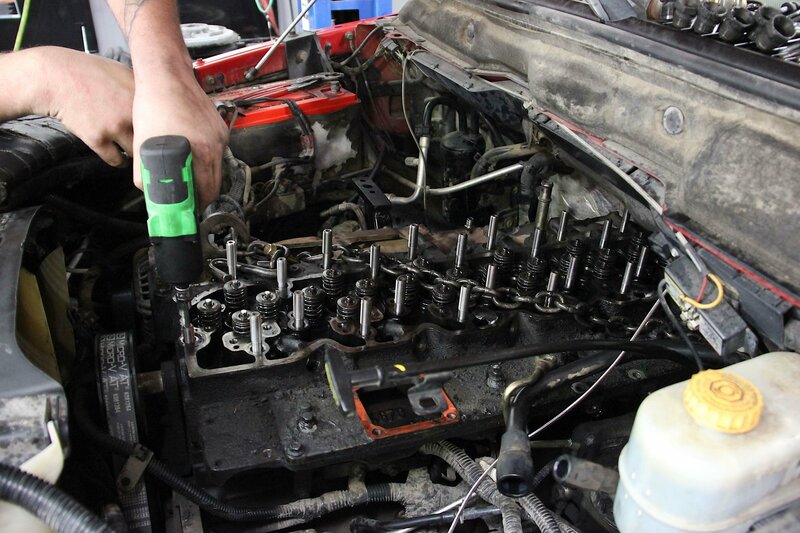 We undid the wiring to the injectors and removed the bolts holding the lower valve cover onto the engine. The air intake elbow came out, along with the engine block heater. Feed tubes were taken out, and then the injectors, too. 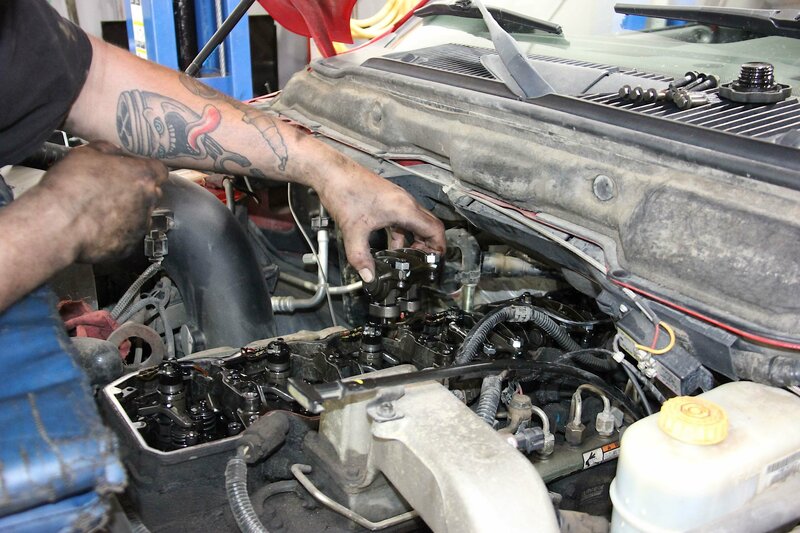 Next, we drained all of the truck’s coolant and removed the radiator hose connecting to the thermostat and its housing. 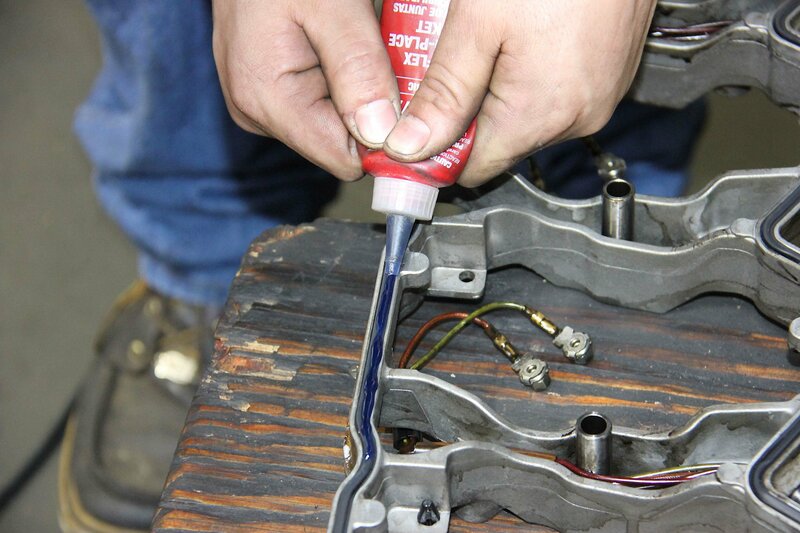 The exhaust manifold came after, which required some penetrant to get all of the fasteners loose. The oil feed line to the stock turbo came off, as well as the EGT probe, and we undid the bolts holding the lower valve cover to the engine. After removing the intake tube, we could remove the block heater, too. With our fuel lines already undone, we went ahead and removed the feed tubes and injectors. Now, the head was ready to come off. Weighing about 200 pounds, it was definitely not something we wanted to lose control of on the way out of the engine bay. We took a chain, hooked it to the eyelets bolted to the head, and guided the head out with the help of an engine crane. It took some trying, but we eventually got it up and out. We set all of the pieces to the side, and prepared ourselves for the installation proper. Come On With The Compound Power! Now was the time to get all of our new parts arranged. Laid before us were the Pusher kit, ARP head studs, BorgWarner turbocharger, and Exergy injectors and feed tubes. 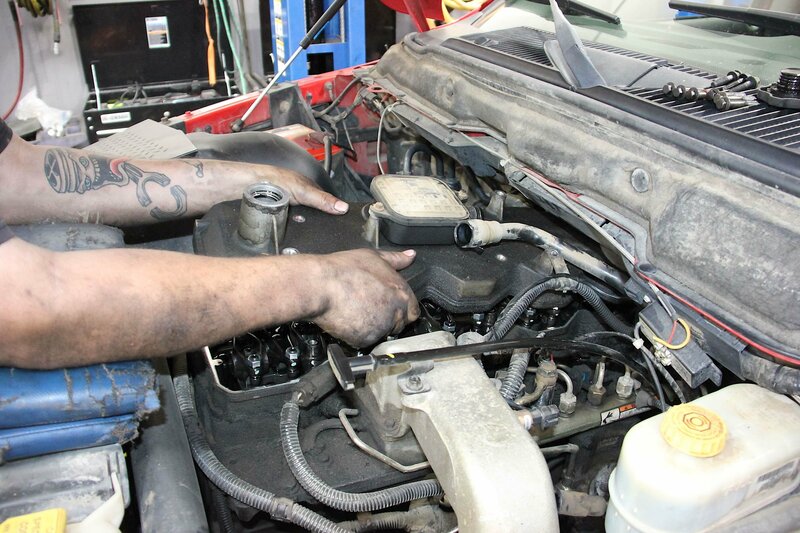 We kicked the operation off by grabbing both the upper and lower valve cover and placing them inside a parts washer. We pulled the air intake off, then removed a freeze plug over the hole that would hold our new oil drain fitting. Using some RTV, we situated the fitting onto the hole and moved on. The new oil drain fitting went into a freeze-plugged hole on the Cummins engine. The turbo mount, which mounted to the side of the engine block, was one neat feature of the Pusher kit. 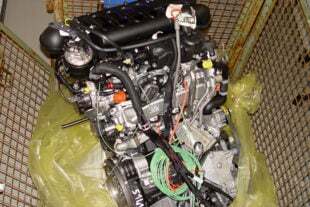 “This system basically adds the necessary components to compound the factory turbo via an S400, which weighs about 50 pounds. We’ve designed and tested these systems to take anything, including off-road racing. 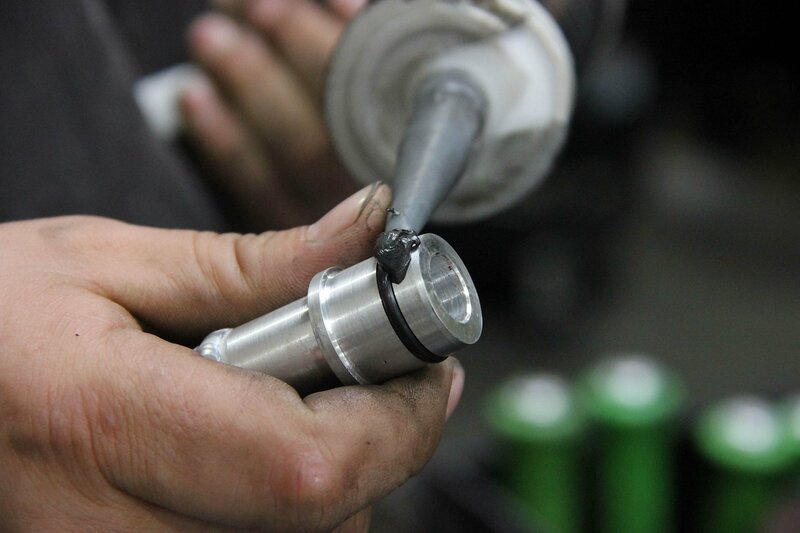 To obtain that level of durability, it was imperative to keep the S400 rigidly in place to prevent vibration and damage to connected components. This was why we included a very stout mount that ties into the auxiliary engine mount bosses on the block,” said Allenbaugh. We used tapered bolts and a normal bolt to secure the mount to the engine block, and then installed a reducer boot onto the stock turbo. We also installed the oil drain hose to the turbo mount. 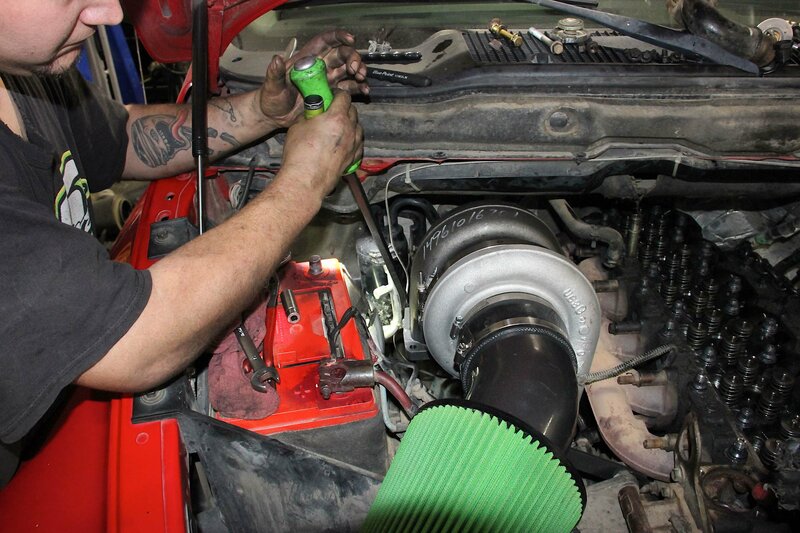 The new turbo mount was installed, as was the reducer boot to the stock turbo. We also fitted the oil drain hose to the turbo mount. 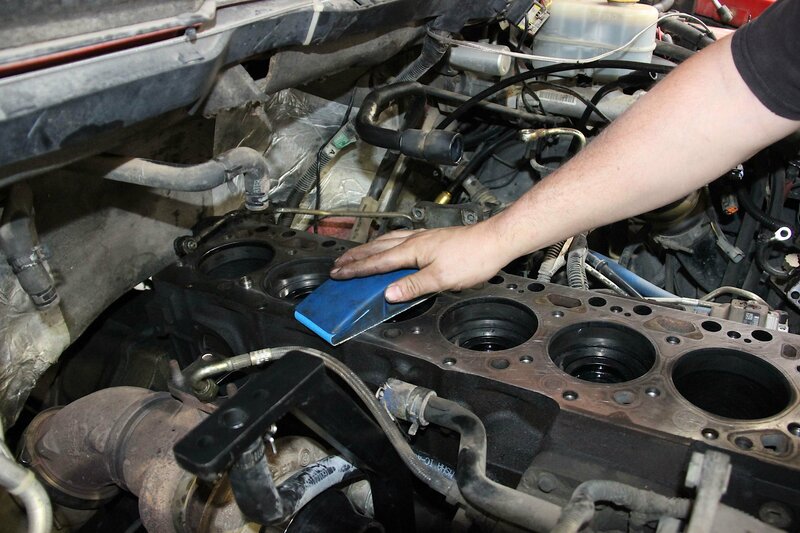 Moving along, we resurfaced the top of the engine block and laid in a new gasket. The upper and lower valve covers had finished their cleaning cycle and were ready to go back on. Lastly, the head was hooked back onto the engine crane and gently lowered back onto the Cummins block. After resurfacing the top of the engine block and fitting in a new gasket, the head was reinstalled. We then went around putting in the new ARP head studs, which would bear the brunt of the force coming in from two turbochargers. "Custom Age 625 plus has a tensile strength of up to 280 ksi, or 280,000 psi," said ARP's Chris Raschke. 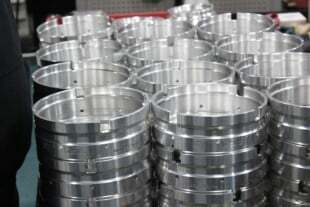 "It is a stainless design with a very high fatigue cycle life and toughness. Custom Age 625 plus is completely resistant to atmospheric corrosion and oxidation." One by one, we went around and installed the new ARP Custom Age 625 head studs. These would be the foundations of our build, and responsible for retaining the head from lifting off once all of that boost came swirling in. We lubricated the undersides of the ARP nuts with the company’s anti-seize lubricant and torqued them onto the head studs following the factory sequence. With its compressor housing removed, it was easier to install the turbo onto the mount. We also got a closer look at the S400SX's extended tip technology. As explained by BorgWarner's Brian Rhinehart, "This design feature promotes greater airflow using a low inertia wheel that performs like a wheel of greater size and mass. 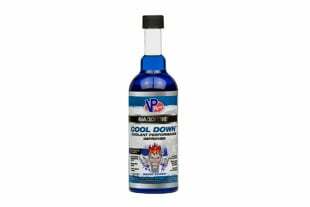 Extended tip technology enables the user to have faster spool-up at lower engine speeds, while providing the boost for the powerful top-end performance that most turbocharger enthusiasts have come to desire." 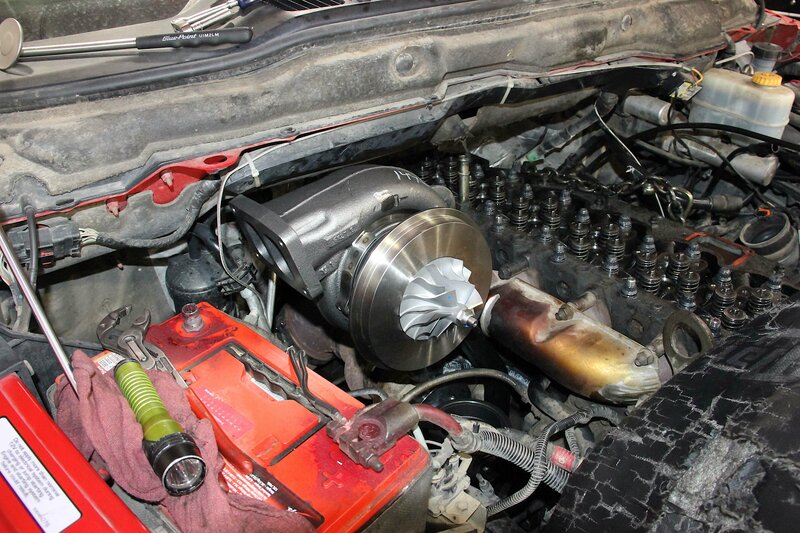 Next, we had to install the new BorgWarner S400SX turbocharger. To better ease it into place, we took off the compressor housing and situated the studs into the turbo mount. After doing some mocking up, we removed the S400SX and bent lines out of the way in accordance with the instructions. This meant having to bend the A/C lines and heater core line in such a way that they wouldn’t come into contact with the turbo once it was fully installed. Once that was done, we finished installing the turbo into its new home. The intake box that used to be near the passenger headlight (long gone now) was replaced with Pusher’s intake and five-inch filter. These attached via hose clamps and filled the space very well. The intake and cone filter fit onto the BorgWarner S400SX turbocharger. They filled the space very well. We made some "fine" adjustments to the A/C lines using a pry bar. 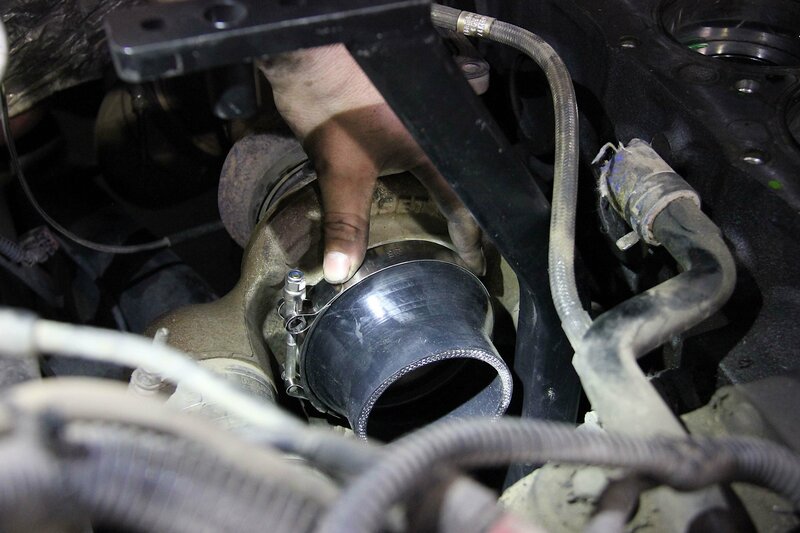 We shifted our focus to the downpipe and intermediate pipe underneath the engine bay, removing the passenger-side fender liner to get more access to this area of the truck. 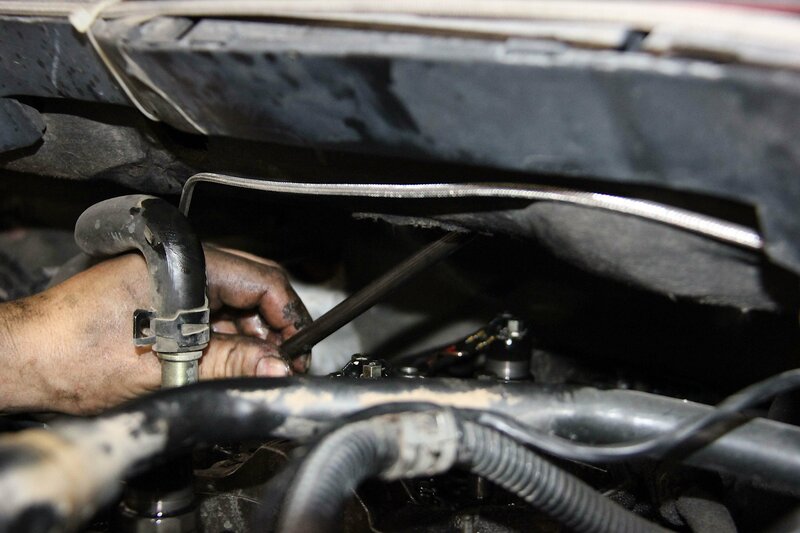 We loosened and removed the stock clamps that held the downpipe in place and installed the high-pressure exhaust pipe. This linked the two turbos together in terms of airflow, and made for a very nice fit. All we had to do was line the holes up, put in the bolts, and tighten. The high-pressure exhaust pipe was installed, linking both turbos together. The MAF sensor from the stock intake snapped into place on the new Pusher intake. At this point, we were past the halfway mark. We had our new BorgWarner turbo installed, a clean head surface, and ARP head studs ready to hold it all together. We grabbed the MAF sensor from the stock air intake and installed it onto the new intake, where it easily snapped into place. Cuts to the stock exhaust system made way for Pusher's replacement downpipe. 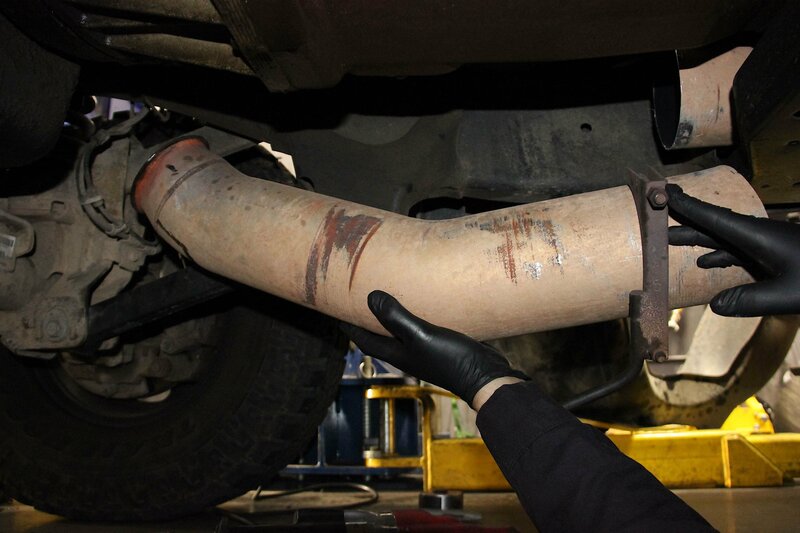 Underneath the truck, we prepared to make cuts to the exhaust system. Per the instructions, we measured two inches forward of the transmission crossmember. We made the cut using a sawzall and left it hanging as we went back to the engine bay. 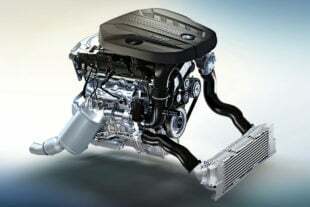 The upper portion of the two-piece downpipe was clamped to the new turbo, routing exhaust gas down to the rest of the exhaust system. 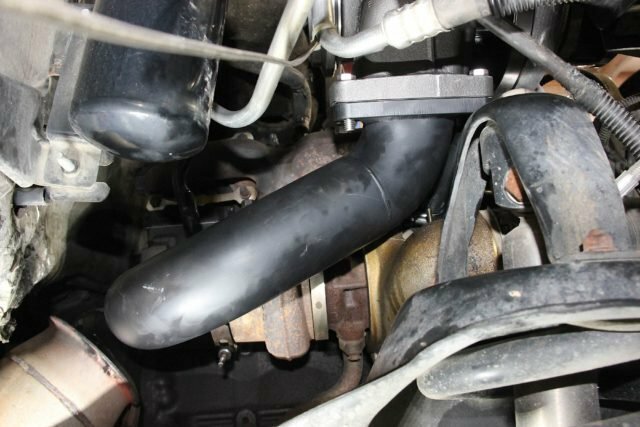 However, the downpipe's lower portion was slightly smaller than the stock exhaust, so we used a reducer to mesh the two pipes together. Clamps went on to connect all of the tubing into one system. We clamped the downpipe onto the BorgWarner turbo and also attached the new oil line. 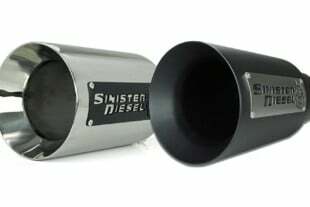 The downpipe routed to the section of exhaust that received the cut, but was too small to align perfectly with the larger-diameter stock exhaust. 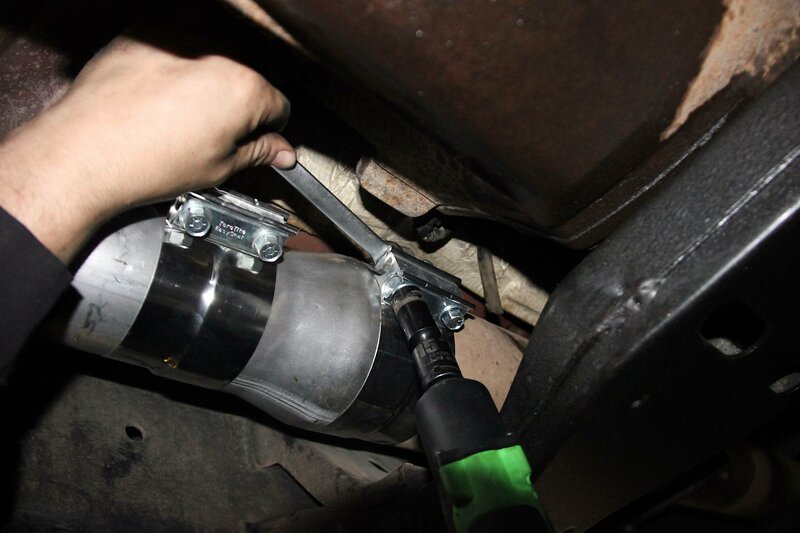 We used Pusher’s included reducer to bind the two exhaust pipes together, and put clamps where necessary. Now, we came to the injectors. These Exergy pieces offer a 130-percent flow rate, making them capable of handling the new power potential presented with a compound turbo system. 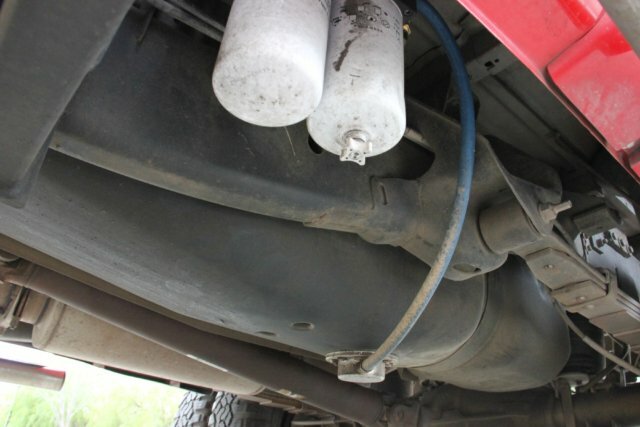 Exergy also supplied us with feed tubes to match the newness going into the Cummins. Old versus new – the stock injector and feed tube compared with the Exergy injector and feed tube. 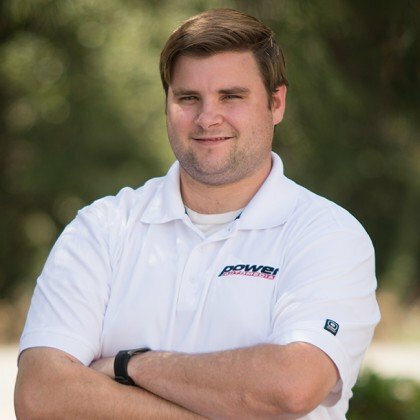 Exergy's Ric Newbury explained them in greater detail: "Every injector nozzle goes through a series of checks to ensure 100-percent quality. We have a variety of different nozzles to achieve a customer's goals. 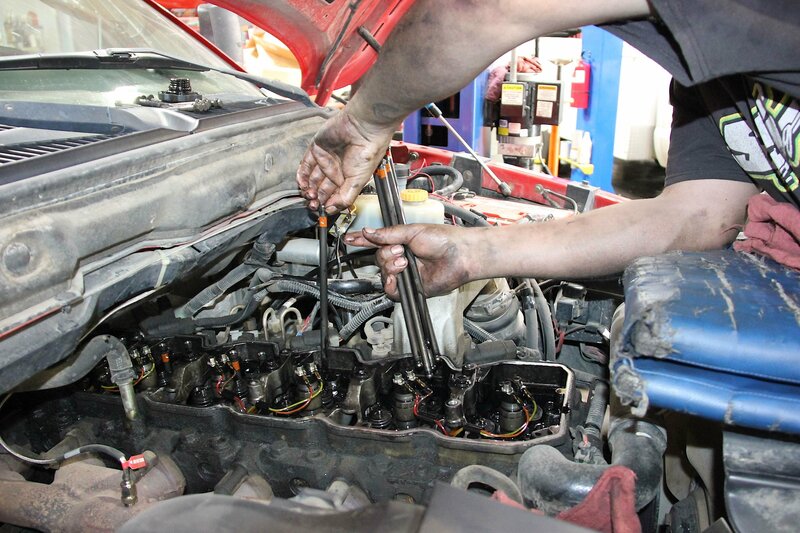 As for the feed tubes, it's recommended to replace these when replacing fuel injectors. In some cases, an old feed tube won't seat properly to a new injector. This causes a leak path, and since the return on these trucks is closed, you won't be able to see the leak. 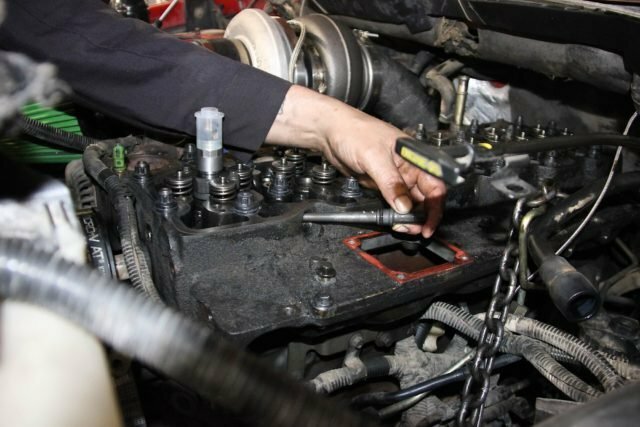 A set of new feed tubes is cheap insurance when spending thousands on injectors." On closer inspection, the injectors – stock versus Exergy – looked completely similar. 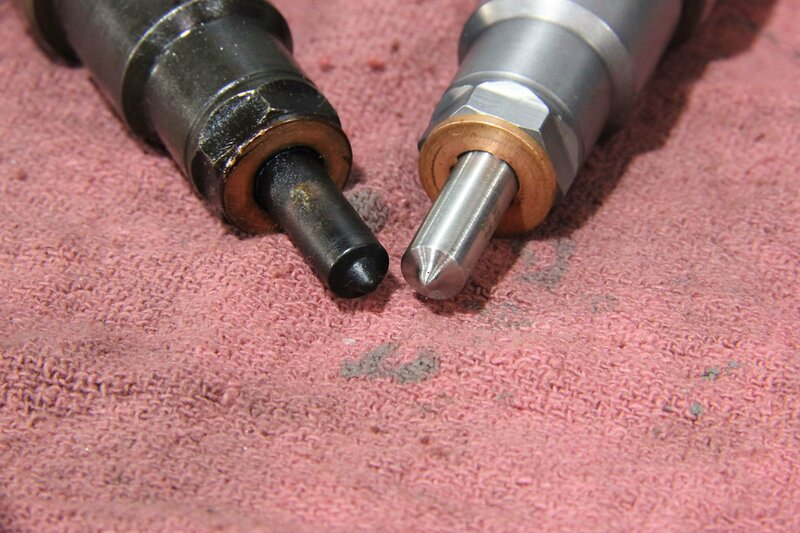 Upon much, much closer inspection, we could see the minute difference in the holes at the injectors’ tips. Exergy’s holes were just that much larger that they could permit a greater volume of fuel into the combustion chamber; this would make for a bigger edge once the whole installation was complete. In went the injectors and feed tubes. We moved on to the next phase, with a finish line clearly in sight. A new injector and feed tube go into the Cummins. We kept the plastic caps on the injectors to keep from accidentally fouling the electrodes. In went the fuel rail. Each of the six feed tubes was connected to the fuel rail with a byzantine fuel line. 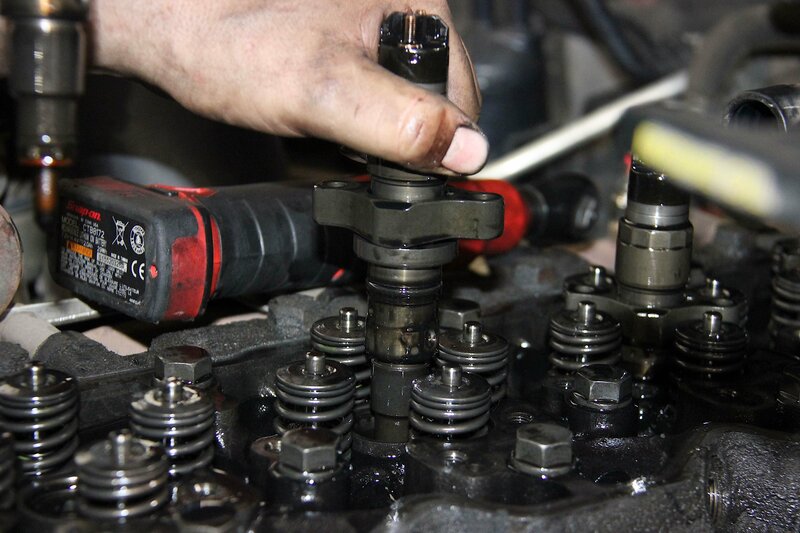 We did some reassembly of the valvetrain, including the pushrods and valve bridges. We resumed the rest of the valvetrain the next morning, and took care to cut out a portion of the lower valve cover’s rear section. This would help accommodate the new ARP head studs that had been installed. After a quick spray of air to help clear it of debris, we gave the lower valve cover a new O-ring and thread-lock treatment, and then installed it onto the Cummins. 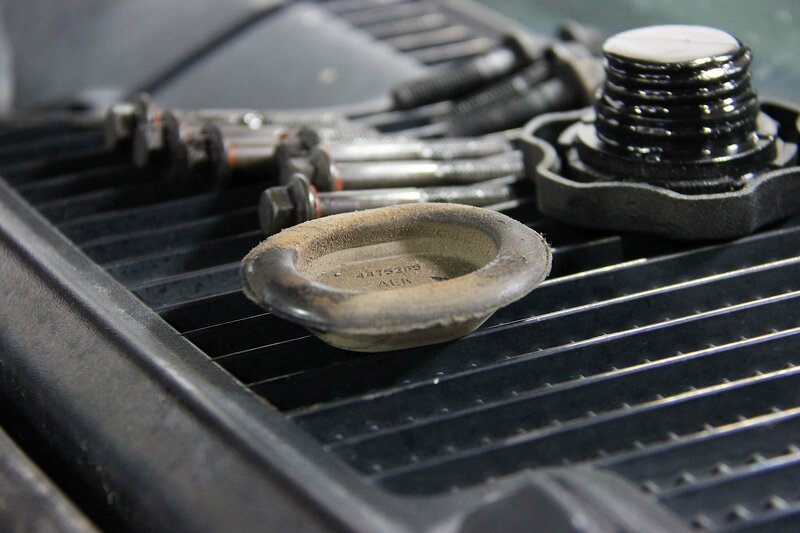 The ground-out area of the lower valve cover allowed the the nearby ARP head stud to do its job. Since we had it out, we gave the lower valve cover a new O-ring and bead of thread-lok to prevent it from coming off. At this point, we had to do a valve lash adjustment. This would ensure that the gaps between the rocker arms and pushrods was within spec, and would be neither too tight nor too loose. 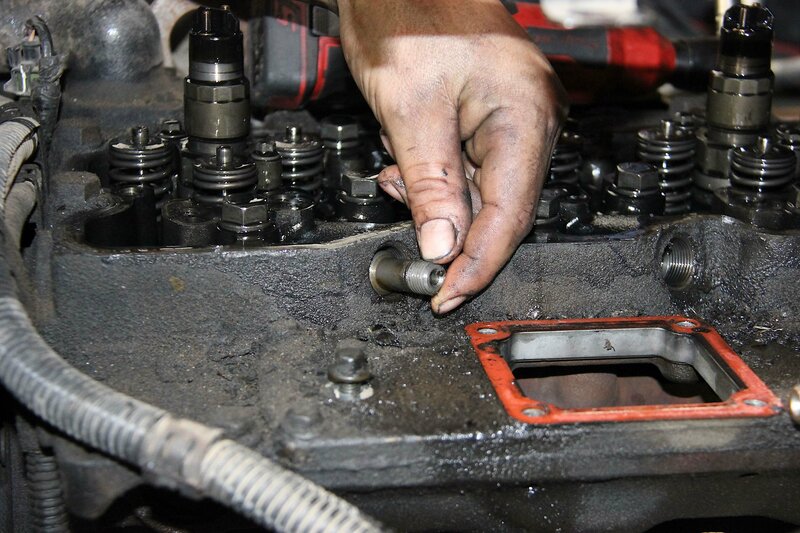 Every gap was checked – it had to be .010-inches for intake, and .020-inches for exhaust – as the crankshaft was clocked twice, until we had acceptable gaps across all intake and exhaust valves. 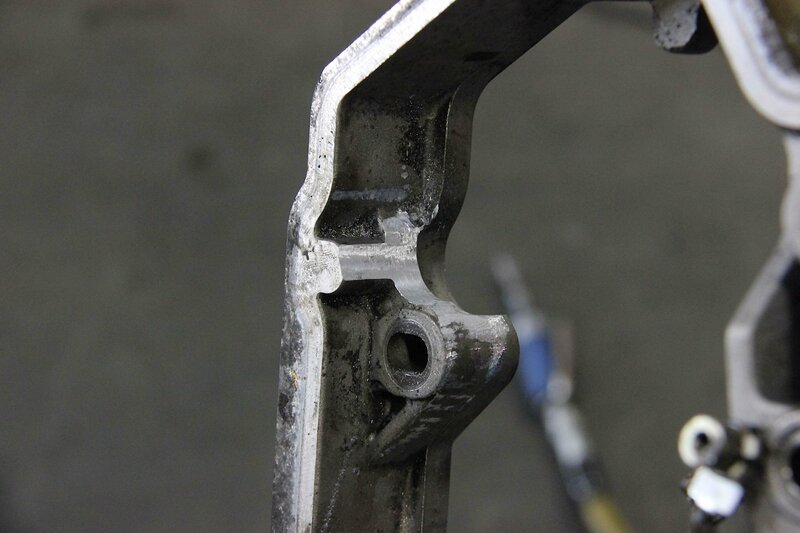 We tested the gaps on all intake and exhaust valves to make sure they were within spec. Satisfied, we plugged in the electrical connectors to the lower valve cover, and then scraped away the old gasket for the intake horn, replacing with a new gasket. In went the engine block heater, then the intake horn, then the thermostat and housing, and finally the upper valve cover. We then poured in new coolant and waited as the system purged all of the air out. And presto, our job was done! The truck fired up right away. We could tell the new capabilities brought on by an additional turbo were just waiting to be let loose, but we had to let everything get re-acquainted and broken in before jumping straight to the dyno. 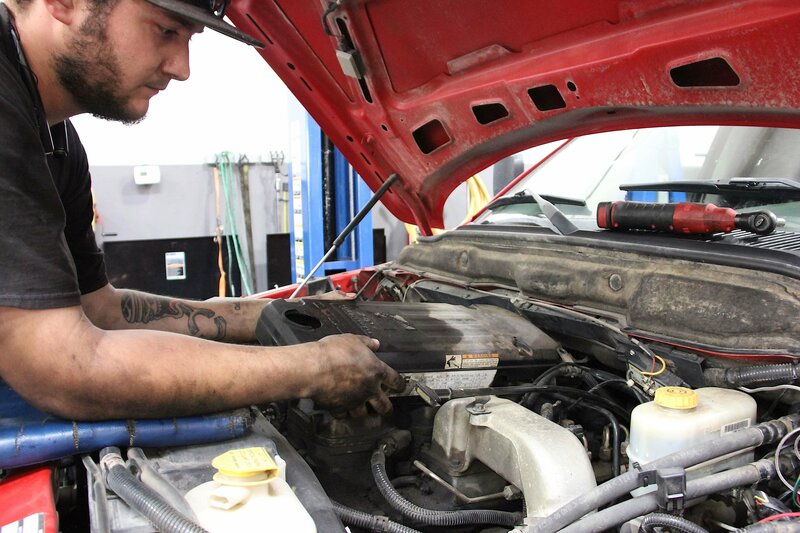 Per our outside expert advice, we were to wait until the system had undergone 1,000 miles of regular driving, then re-tighten the head, and then get to dynoin’. 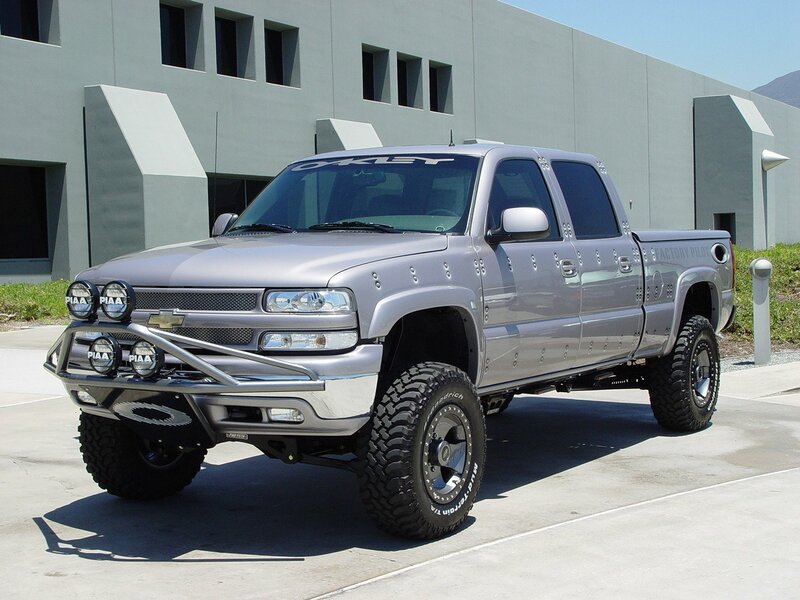 Armed with compound turbo power, this dually is truly a "dually" now! We’ll be back once we have another grand on the clock. Our next installment will have dyno results, graphs, and datalog information for all of you to dive into. Stay tuned! Pusher Intakes Compound Turbo Wrap-Up: How Did It Do On The Dyno?